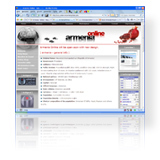 Taxation in Armenia - Excise tax .:.::. goods which are imported by citizens in amounts that do not exceed the limits specified by the law on excise tax, etc. The amount paid for excise stamps is considered to be an advance payment of excise tax. Payments of excise tax for goods imported to the RA must be made within 10 days of importation. Taxpayers producing excisable goods in the RA shall pay monthly excise tax before the 15th of the month following the reporting one and submit the tax return to the relevant Tax Inspectorate. Taxpayers exporting excisable goods produced in the RA from the excisable raw materials purchased in or imported into the RA are reimbursed the amount of excise tax paid for the raw materials.